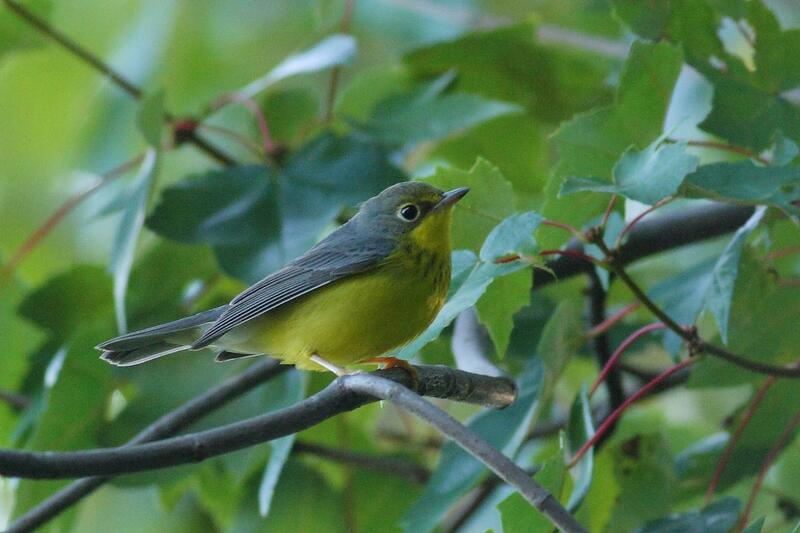 Ottawa, ON, and Ithaca, NY– A new paper published today in the journal Nature Communications shows a blueprint for conserving enough habitat to protect the populations of almost one-third of the warblers, orioles, tanagers, and other birds that migrate among the Americas throughout the year. For the research, an international team of scientists used the Cornell Lab of Ornithology’s global citizen science database, eBird, to calculate how to sufficiently conserve habitat across the Western Hemisphere for all the habitats these birds use throughout their annual cycle of breeding, migration, and overwintering. The study provides planners with guidance on the locations and amounts of land that must be conserved for 30 percent of the global populations for each of 117 Neotropical migratory bird species. More than a third of Neotropical migratory birds are suffering population declines, yet a 2015 global assessment found that only 9 percent of migratory bird species have adequate habitat protection across their yearly ranges to protect their populations. Conservation of migratory birds has historically been difficult, partly because they require habitat across continents and conservation efforts have been challenged by limited knowledge of their abundance and distribution over their vast ranges and throughout the year. The team’s analysis found that conservation strategies were most efficient when they incorporated working lands, such as agriculture or forestry, rather than exclusively focusing on areas with limited human impacts (i.e., intact or undisturbed landscapes). The importance of shared-use or working landscapes to migratory birds underscores how strategic conservation can accommodate both human livelihoods and biodiversity. The research also found that efficiency was greatest–requiring 56 percent less land area–when planning across the entire year in full, rather than separately by week. “Efforts to conserve migratory species have traditionally focused on single species and emphasized breeding grounds. Our results show that planning for multiple species across the entire year represents a far more efficient approach to land use planning,” said Scott Wilson, Environment and Climate Change Canada research scientist and co-author on the paper. “This study illustrates how globally crowd-sourced data can facilitate strategic planning to achieve the best return on conservation investments. No other data source could have achieved anything close to this level of detail and efficiency in spatial planning over such a vast area,” said Cornell Lab senior conservation science director and co-author Amanda Rodewald. “Prioritizing sites in which to invest our conservation dollars will dramatically improve our returns on the roughly $1 billion spent annually on the conservation of birds by government and nonprofit organizations, often in the absence of spatially explicit information on year-round abundance or geographical representation,” said Peter Arcese, co-author and FRBC Chair in Applied Conservation Biology at University of British Columbia. This international team was comprised of scientists from the Cornell Lab of Ornithology, Carleton University, University of British Columbia, and Environment and Climate Change Canada.